Here we are halfway through the month of January 2016 and we're off to a busy start with fosters and lots of spay/neuter surgeries! Mardi Gras is upon us early this year in the Monroe area...January 30th marks our 10th annual Krewe of PAWS Mardi Gras Pet Parade! Pre-registration has closed but you can register to walk in the parade and enter contests on-site ($20 for the first pet, $10 per additional pets & $5 to enter one of the contests)! 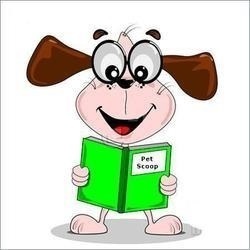 Click on "More Info" to the right of the Petscoop dog to see what interesting info is in this month's issue of the PetScoop. January's offsite adoption event is at Petco on Saturday, January 23rd, 2016 at our usual time of noon - 4 pm. See you there! Happy New Year!